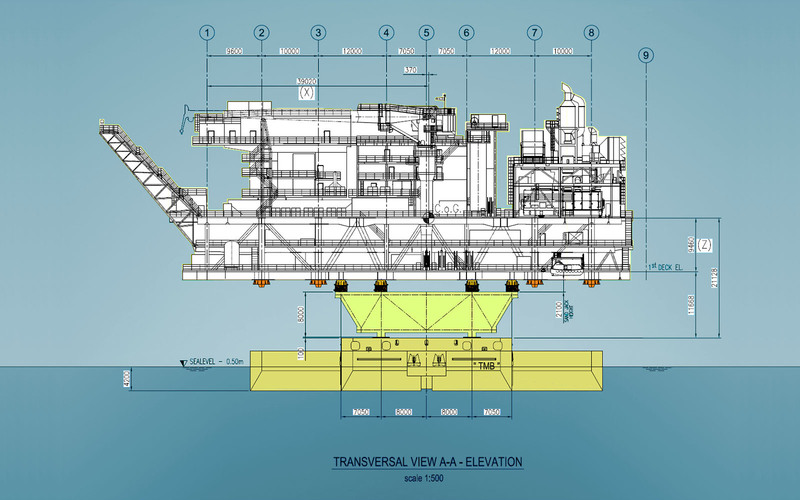 TECON SOW: Engineering of the float-over operations and design of all related special structures and equipment. 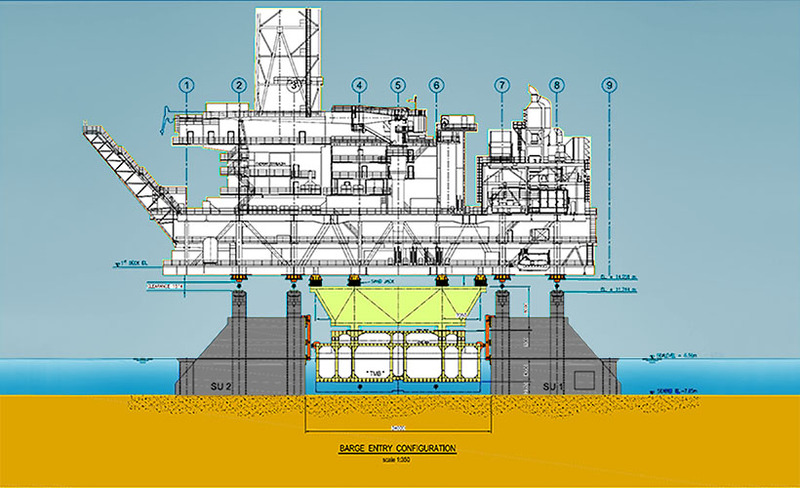 The V. Filanovsky oilfield facility is situated on the territory of the licensed territory “Severny” in the Russian sector of the northern part of the Caspian sea, in the shallow water area 170 km south of Astrakhan. Platforms LQ-1 and IFP-1, IFP-1 and CPP, CPP and RP are linked by connecting bridges (CB).